I totally get this. I feel as though I am easily the best I have ever been at the game, but I still have a decent sized range in terms of score and I can't seem to leave the higher end of my range behind, it's like the game gets tougher or something to keep your score where it was. I feel like I see more shots than ever where I find myself saying "I don't think I could do a whole lot better on that shot than that..." And the shot I just hit wasn't that sensational. 🙂 I agree with those that have suggested that there is a "talent level" in all of us and it is just very hard to go beyond that level. I know in my case, I have become pretty decent at all phases of the game, and it has dawned on me that "pretty decent" is about as much talent as I have for the game. Meh, I'll still work on things as long as I feel like playing, what else can you do?? Maybe a breakthrough will suddenly come about..life is like that sometimes. Thank god for the wonder cure of golf..
First I thought, that's so true. Then I thought, what if I am not even REALLY keeping my arm straight! Then I just sat there...mind...blown. I think you nailed it, there has to be a reason that it hasn't made its way to the top of my swing thought list. If nothing else, it seems to clean up the clutter and gets me back to my mediocre swing when I am really struggling to get the feel...when I was younger I thought I would NEVER be happy about something like that, but many years later I am thankful for the smallest of victories... Anyway, I just kind of threw it out there wondering if the experience seemed familiar to anyone else and if they too had a story of how to get themselves out of an overflow of swing thoughts and ideas...seemed pretty universal. I'm pretty new here, but I will give it a go. I don't have a handicap. I seem to shoot in the 80s a lot, but that is on courses I know well and they aren't exactly beastly either. 1. I will never really be able to fix my problem on my first move on the downswing. Maybe it's because I don't go about fixing it in an intentional way that will produce results or maybe I am simply not athletic enough to relearn the swing despite my repeated efforts. A little more distance off the tee would likely make a modest difference in my score, but that swing has always been beyond my talents, hard to imagine that changing. I know what to do, just can't seem to do it. 2. I will likely never get better because routinely breaking 80 means you are really, really good at this game and I am simply not really, really good at this game. No matter how much I practice: I make bad swings, I make bad putting strokes, I make poor contact on chips, and I make boneheaded decisions on the course. My bad shots get slightly better and may come slightly less often (or not honestly), but they still come and they still take par out of the equation and leave me scrambling for a bogey or worse. I've reached the point where I think, if I made fewer mistakes I would no longer be the golfer that I obviously am. 🙂 3. My desire to play well leads to nerves and lapses in focus that no doubt cost me a few strokes here and there. I am not sure I can change that. I mean, I would like to play well, so I don't think pretending I don't will be much help. I've never been great at fooling myself. I believe I had a club fitting experience that I suspect was not typical, so I wanted to share and then follow up with a question. I don't have a true handicap, but just to put my play in some kind of perspective. I generally shoot in the 80s on fairly easy municipal courses. I'll throw in an occasional high 70s and I can creep up into the high 80s quite easily if I'm a little off or unlucky. That's just to give a sense of where I am in the journey. I arrived for my fitting very excited. I was looking to purchase a new driver. My clubs (including my driver) are about 5-7 years old, so I figured why not buy myself a new toy and take advantage of the technology of this game. There was certainly nothing wrong with my current driver, however. Upon seeing the clubs I brought, John (the fitter) commented about how my clubs were a little bit older and he excitedly went into how new clubs across the board would be a boon for me. I dreaded hearing this as I thought I might receive some pressure to drop 1500 dollars when 400-500 was going to be enough to come up with. Still, I was excited thinking that tech advancement in the last few years might just take my game up a tiny amount. I started to take some shots and after several I mentioned that I was pleased because, while the shots didn't appear to stellar on the big screen, my swing still felt pretty normal and I thought the contact felt about average for me so that whatever read he got for the various metrics was probably pretty indicative of my general swing. After that, I started to hit drivers. I don't exactly crush the ball off the tee and my shots were of the typical unspectacular variety, but again were pretty normal. At this point, John gave me several different drivers to try, and though they often felt pretty good, the results didn't seem to improve much. Personally, I don't really trust the big screen entirely on distance and roll out, so I was still willing to buy. I wasn't expecting miracles, I understand that the swing dictates the results, but I still figured that a driver that is several generations newer was still bound to offer a slight bump in distance and would perhaps be a bit more forgiving. However, John, to his credit, told me that my swing was simply too erratic and that I would not be able to glean the benefit of a newer club until I fixed the issues I have with: grip, posture, setup, and overall swing. Just to add a bit of context here, most of my numbers were OK, but my spin rate was much too high and none of the clubs he tried could lower the spin rate enough to be worth the money. This is my guess as to what he saw as he never really got into specifics beyond letting me know that what I needed was lessons, but he did at least go into the numbers in a cursory fashion at one point. As I say, I actually appreciate the fact that he didn't feel like he could put together a club that would bring about the kind of change that would be worth the investment and thus refused to lure me into what he no doubt considered a waste of money. It was impressive that he showed that type of integrity. 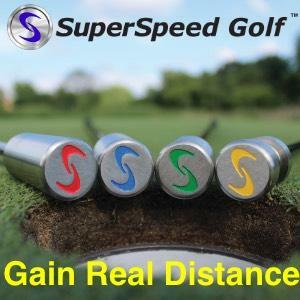 So, beyond wondering if anyone here has had a fitter refuse to steer them toward a club or type of club to look for, my question is this: He said himself, that the newer clubs could offer a bit more distance when you hit them right and I have to believe that clubs are always improving in terms of being a little more forgiving on errant shots. This was all I was expecting, wouldn't a new club still have some value? It would seem that if you needed a certain level of swing to glean any benefit from newer clubs, than why would anyone other than the top 5-10 percent of players ever buy a new club? It seemed odd to me, I just have to believe that a better club will still give at least a modicum of improvement regardless of skill level, but what do you think? As a post script, I headed to the range to work on drills and tips that my lower my spin rate using my old driver. But, I still can't help but think that the newer technology will bring a little benefit, even to a mid handicap type player. I began experimenting with a slight press right before my chips (basically just rotating my hips very gently and pressing my right knee in a bit) and then taking the club away. It has been very effective thus far. Obviously, the first thought any of us would likely have is "if it's working, keep with it" so I will...But, I have to say, it does concern me a bit that nobody seems to advocate doing it, and I can't recall ever seeing a good player doing it or even so much as a youtube clip showing it as a potential fix for chipping problems. Has anyone ever heard of doing this? It wasn't a miracle fix for me, but it definitely seemed to help. Hello everyone, New member here getting back into playing after several months off, so I thought I would share my last two scores just because they kind of perfectly introduce my game. I played about a week and a half ago at a fairly easy muni course (playing from the whites). I shot an 82 (+6 front, +4 back). I recently purchased a decent putter for the first time in nearly thirty five years of playing. I proceeded to putt unbelievably well, hitting four long putts and only missing one short one. Suffice to say, it was a complete reversal from my recent putting. But, I know that no putter is going to magically make you a good putter....so naturally... A week later I played an executive course with very shaggy greens. (+10 front, +3 back). Big shock (sarcasm), I putted very badly. I hit the ball very nicely, but couldn't make anything of consequence and I choked a couple of short ones to boot. I am starting to realize that the hardest thing about this game is just how hard it is to consistently execute shots, even if you have the ability to do it, actually doing it? Over and over? Very....very....difficult. I am going to stop here because I fear I am already breaching forum etiquette by posting two scores and I don't want to introduce myself with an egregious forum misstep. 🙂 I have enjoyed reading the forum topics for a couple of weeks now, I hope to join in on some of the discussion moving forward.